After 40 years of playing bass in almost every conceivable environment, I decided to combine the very best aspects of classic and custom bass design with the finest hardware components I could find. 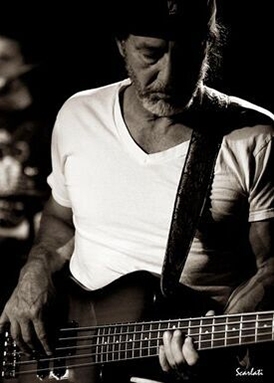 I believe that every bass player can now own an instrument with virtually infinite tonal range, incredible ease of playability, outright beauty and ageless durability. It is my goal to put an Alien Audio bass into the hands of every player at an affordable price. Professional musician Charles "Chopper" Anderson founded Alien Audio in 2007 after years of working with his friend and electronics inventor Mo West to design "the bass player's bass." The goal was to create an instrument that combined beauty, balance and sound versatility. Recently retired industry executive, Dennis Smith, joined Alien Audio in 2015 to contribute his 40 years of experience in the electrical and electronic component industries. Dennis played bass in the late 60s and early 70s . While his performing gave way to a career in industry, his appreciation of fine instruments has endured.